As I sit and type this blog post, the very first post from Learning Lab Apps, I’m filled with excitement for two good reasons. Firstly, it’s a new year and that means new beginnings and resolutions. We technically launched our new company, Learning Lab Apps, in October last year with the soft-launch of our web app WorksheetCloud. However, WorksheetCloud was launched at the worst time possible for education (in South Africa at least) because schools were finishing off exams and learners were getting ready to begin their holidays. Still, we managed to gain an unexpected number of WorksheetCloud users in October and November – so to our very first users I’d like to say THANK YOU. In February we begin with the hard-launch of WorksheetCloud which will involve a very intense advertising and marketing campaign. Traditionally the first school term is the best time to launch a new educational product. And we have another two really exciting apps planned for 2015. The second reason I’m really excited for the new year is that Learning Lab Apps was named as the winner of the Cap40 Methys Business Innovation Award for 2014. We won the award based on the uniqueness and design behind WorksheetCloud. We went up against some other tough competition with very good ideas and awesome apps, but ultimately WorksheetCloud was selected as the winner. The award means that Learning Lab Apps receives development funding. We’ve decided that we’ll be launching a native iPad and Android app version of WorksheetCloud with this funding. This will allow additional streamlined functionality for tablet and smartphone users of WorksheetCloud. 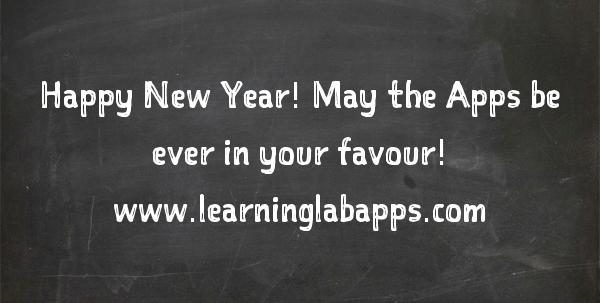 So, here’s to hoping that 2015 will allow Learning Lab Apps to get closer to our ultimate goal of developing relevant, high quality educational content and beautiful, user-friendly apps that enhance the teaching and learning process to such a degree that our users fall in love with our products! If you’re interested to know more about our company, take a look at Our Company page, or get in touch.